Please find attached the seeded entry list for this weekend’s flagship Rally of the Bay event in Bateman’s Bay. Note that the CRO and Clerk of Course will consider fact based discussions on any crews allocated position that is presented to them prior to the close of documentation on Friday evening. July Khanacross times and results! Thank you to those who participated (and volunteered) at Sunday’s NSSCC Khanacross where we had a great, family friendly day. Attached are the times and results (ranking completed by course / run). Well done everyone!!! 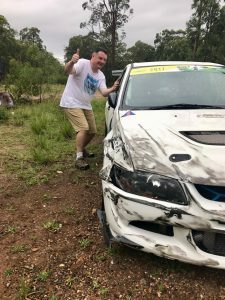 The 2018 AMH Automotive Group Rally of the Bay will be run on the best roads we can find in the Batemans Bay area on Saturday 11 August 2018. This year we are proud to be a round of the MTA NSW Rally Championship, the Focus on Furniture & Bedding Victorian Rally Championship, the East Coast Classic Rally Series and the ACT Regional Rally Series. In addition we will be running an Introductory Rally on 4 of the event stages – an opportunity for people to “test out” the idea of rallying without requiring a significant investment in equipment. We have a new Rally Headquarters, After Party Venue and Accommodation Partner for this year – the Coachhouse Marina Resort in Beach Rd … they have plenty of accommodation options and a lot of parking areas suitable for trailers and so on – the Saturday night presentation will be held in a large Marquee here so those staying on-site won’t have far to walk home! The Service Park will be at Corrigans Beach Reserve (the same place as 2017) and there is plenty of space for everyone to service – some food will be for sale and there are shops nearby, as well as water views and a beach for your service crew to pass the time while you are out having fun on those roads. A Ceremonial Start will be held in the main street of Batemans Bay on Saturday morning as in previous years. The “Bay Stages” part of the event is the NSW & Victorian Championship competition with 9 stages and the first car starting at 10am from the Ceremonial Start – no heading back to the service park this year for these crews. The Bay Stages is run as a State Championship level event so Frontal Head Restraints and all the appropriate apparel will be required .. and is HIGHLY recommended for everyone (you will all need this level in 2019 so why not beat the rush and start wearing it as soon as possible). Rallysafe is compulsory for EVERYONE (including the Introductory Rally) so if you don’t already have the installation kit it’s time to head to the Rallysafe website store and get what is required (if you are doing the Introductory Rally please contact us at nsscc.rallyofthebay@gmail.com BEFORE you buy anything as there are some different options for you). The VRC may ONLY be contested on the event roadbook. 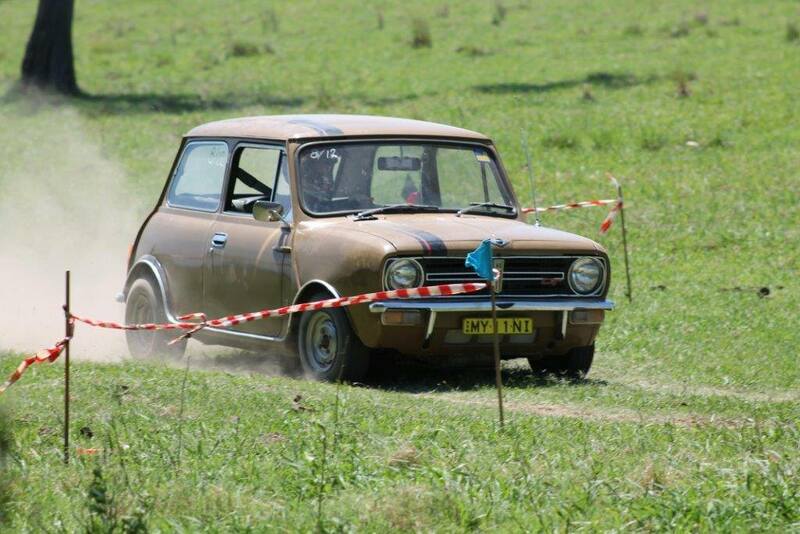 Crews contesting the MTA NSW Rally Championship have the option to run either using pacenotes or the roadbook. Championship points will be evenly divided between the two groups. Reconnaissance for those entering to run any part of the event on pacenotes will be allowed from the weekend of the Narooma Rally (July 21st 2018) onwards – you need to have entered the event and follow the instructions in the Supplementary Regulations in order to get maps, roadbook and so on! Smoothline notes will be available for purchase for this event. Entries for NSSCC State Khanacross on 14 May NOW OPEN! CAMS Car Club Challenge winners!!! Four of NSSCC’s faster Tarmac Rallysprint drivers teamed up yesterday for the NSW Round of the CAMS new ‘Car Club Challenge’, held at the Ringwood Hillclimb Circuit north of Newcastle representing NSSCC. 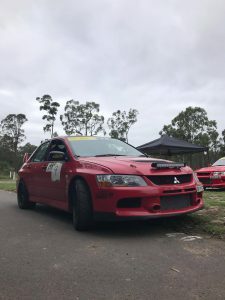 All teams were awarded points by how their members best times compared to the existing track record in each cars class, with our guys all in their Mitsubishi Evos. All four went under the old mark through the day a number of times and thus, NSSCC won the day. Well done to Phil Heafey, David Finnimore, David Isaacs and Pete Howard on a great day. The winning club also won $2500, so a great day for NSSCC!!! • General Requirements for Cars and Drivers, or otherwise referred to as the ‘Schedules’ which cover the Safety requirements across the sport. A Bulletin has been published which provides a brief on the changes to the General Requirements. CAMS is now working through the final updates to the online CAMS Manual of Motor Sport for 2017 for each Motor Sport discipline, which include Race, Rally, Off Road, Historic, Speed and Autotest sections. Further communication when these sections are available for download will be communicated shortly. Khanacross confirmed for next Sunday the 18th of September – free entry for juniors!!! Following on from the success of the May Khanacross, the NSSCC Committee have planned s multi-club khana event on the grass car parks at Sydney International Dragway on Sunday the 18th of September. 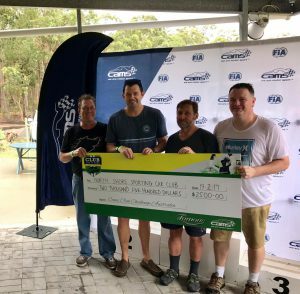 This event will be focused more towards junior drivers and is sponsored by ‘Drive To Survive’, with 3 lucky junior entrants being presented with defensive driving program certificates worth over $800. 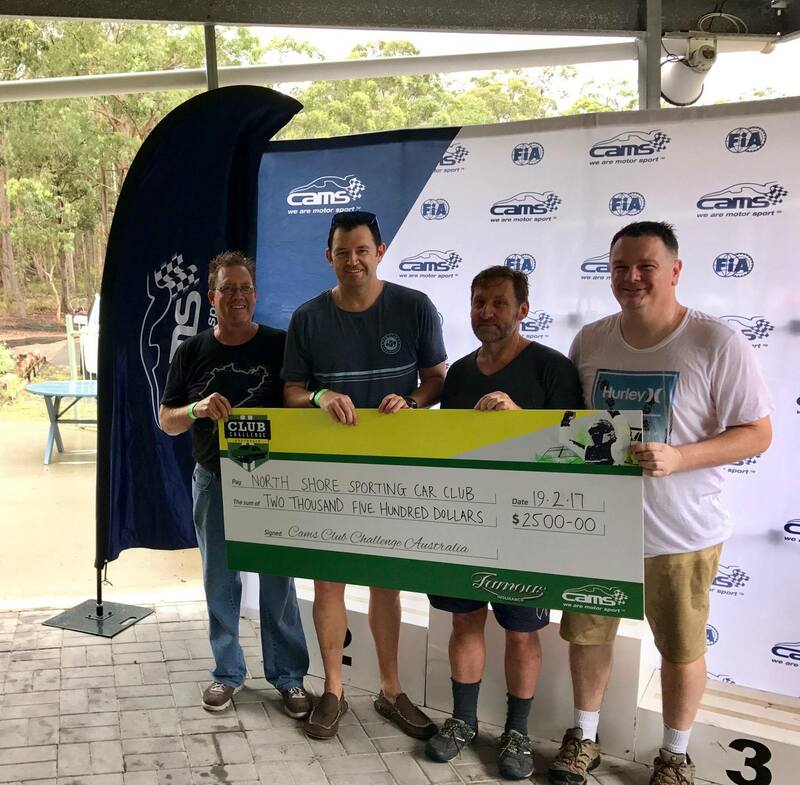 In addition, the club will be applying for the CAMS Driver Development Program grant to assist with entry fees – confirmed as free for under 18’s!!! The day will focus on practice, education and above all, fun for club members and Khanacross fans alike! Keep an eye out on the NSSCC website and Facebook page for further details on this grassroots-friendly event. Oliver Sellars and Brett Middleton.